55 International articles on Nissan’s fifth Z car generation include road and comparison tests, updates, specifications, plus advice on acquiring a good used 350Z. The fifth Nissan Z car generation, the 350Z Coupe, made its US debut as a 2003 model and was offered with five levels of trim. The Roadsters appeared the following year. The 350Z filled a gaping hole in the market and was greeted enthusiasticallhy. Models reported on are the Coupe, Roadster, GT4, GT-S and Nismo. 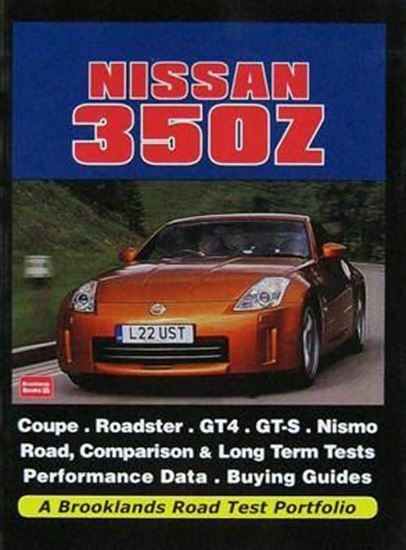 Included are road and comparison tests, updates, specifications plus advice on acquiring a good used 350Z.